Her name was Alyssa Howell. Funny how such a small gesture of kindness, just taking a moment to ask someone how they are doing, can make such a big impact on how you think of a person. A panel of six judges thought VERY highly of Alyssa.. naming her Miss Nebraska 2015 just 24 hours later. And so began a reign that represents everything this Miss Nebraska has stood for; friendship, kindness, genuineness. As a longtime Miss America fan and a journalist who is always subconciously observing, I’ve noticed over the years the reaction of other contestants speaks volumes about the woman crowned. Minutes after Alyssa was named Miss Nebraska, she was immediately embraced by her ‘pageant sister’, Miss Omaha Megan Gould. Just weeks later, Alyssa invited Megan, as well as other Miss Nebraska finalists Brooke Ludemann, LaRissa McKean and Allison Tietjen, to perform at her send-off party for Miss America. These women, Alyssa’s competition at this time last year, seemed genuinely happy for her and showed up in full force to give her their support; Alyssa was eager to share her spotlight that night to showcase the titleholders who had become her friends. For me.. it goes back to that day in the cafeteria.. Alyssa Howell is REAL. She doesn’t pretend to care about people; she just DOES. She’s taken that incredible quality across the country for the last year, focusing much of her time and energy on children. 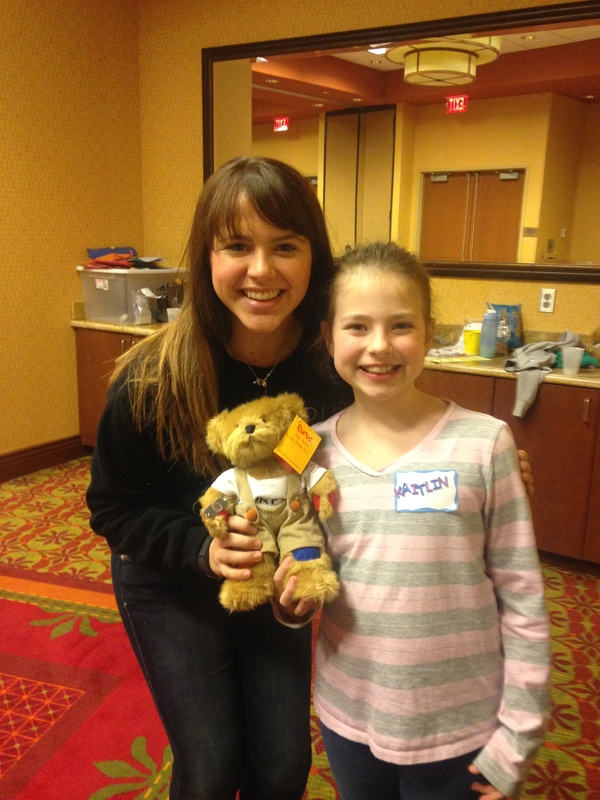 Alyssa visited dozens of schools across Nebraska, and four Children’s Miracle Network Hospitals in several states. THAT has been Alyssa’s passion for years now, connecting with sick children through her Miracle Bags program. CLICK HERE to watch KETV’s story about Alyssa & her Miracle Bags! 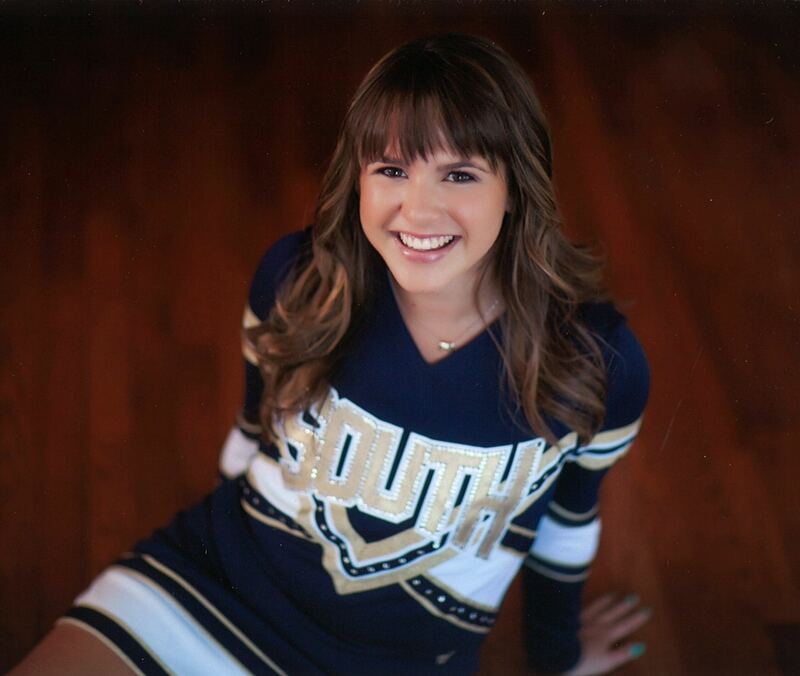 To countless families and children, Alyssa made a profound impact. She also made a huge mark on the pageant world, when in September, she travelled to Atlantic City to represent Nebraska in the 2016 Miss America Pageant. Check, check, CHECK. And when 7-million Americans tuned in to see who would make the Top 15..
..they heard Miss Nebraska, Alyssa Howell. I screamed and jumped in my living room.. Alysa’s family and friends were EXUBERANT in the crowd in Atlantic City. With the confidence women dream of and the swagger of Bruno Mars, Alyssa strutted her stuff on that stage in Lifestyle and Fitness.. and sauntered right into the Top 12. That is where Alyssa’s journey ended, sadly, before she could play her INCREDIBLE piano solo for America. But when I spoke to her just a few weeks later at the Miss Omaha Pageant, Alyssa didn’t have ONE negative thing to say about her experience; no trash talk on her fellow contestants, no coulda woulda shoulda’s.. simply a completely EXCITED outlook on what she could accomplish next in her home state as Miss Nebraska. And holy cow.. has that been a lot. After Miss America, Alyssa was featured in US Weekly and Pageantry magazines. She was a high profile model in Omaha Fashion Week. She secured and strengthened partnerships and sponsor connections with Omaha’s world renowned Henry Doorly Zoo and Aquarium, Sun Tan City, Kontempo. and nationally known stylist Kirby Keomysay among others. Alyssa also became a frequent muse for photographers, taking part in numerous photo shoots with Deyo’s Photography in Nebraska and Jenn Cady Photography based in South Carolina. Alyssa accepted every interview request that came her way, including the nationally recognized Pageant Junkies (CLICK HERE to listen! 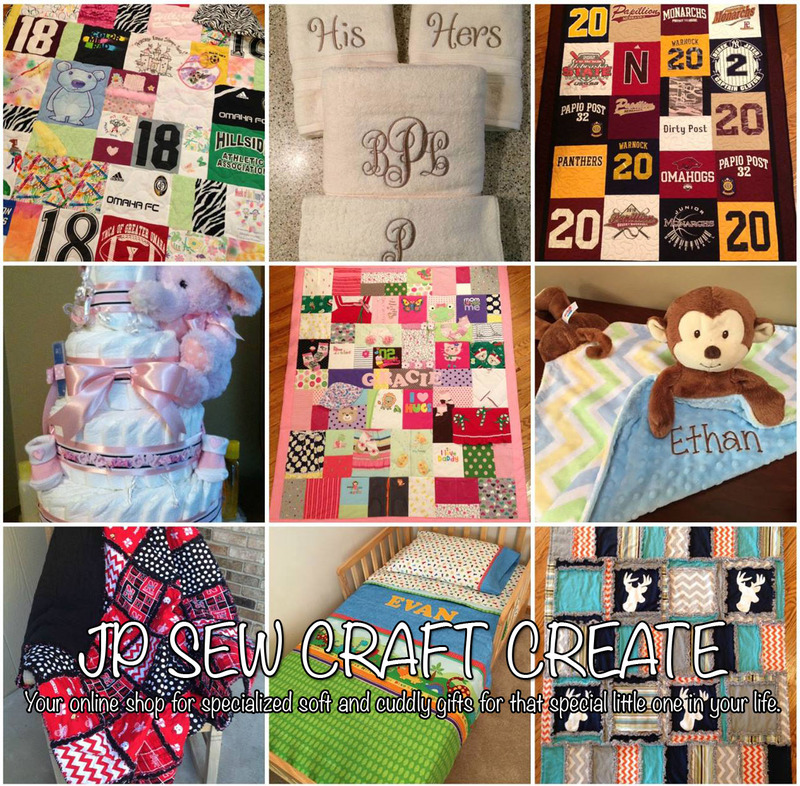 ), Omaha’s KFAB and KETV (CLICK HERE to watch! 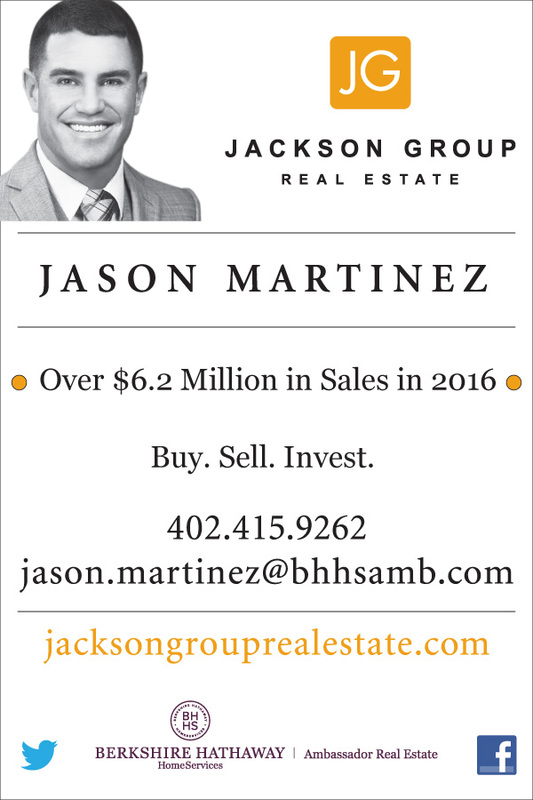 ), the North Platte Telegraph (CLICK HERE to read! ), and ME! 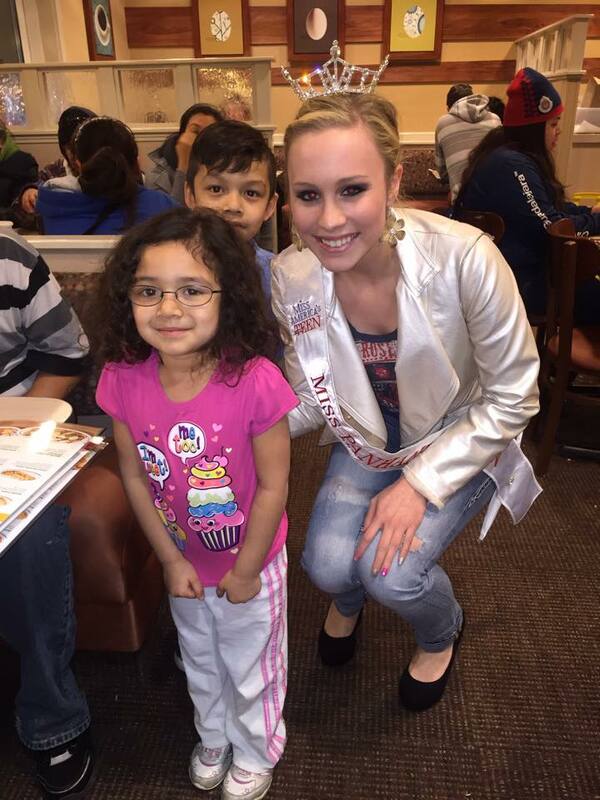 I have the humbling honor of writing this blog post, chronicling Miss Nebraska 2015 Alyssa Howell and her year of service. Initially, I wanted to title this article Humble and Kind, inspired by the Tim McGraw song that to me, so reflects who this incredible young woman is. Despite her jaw-dropping beauty, smile and grace, she doesn’t radiate a shred of arrogance. She is giving, real, and most of all KIND. Alyssa Howell is fire and gold. 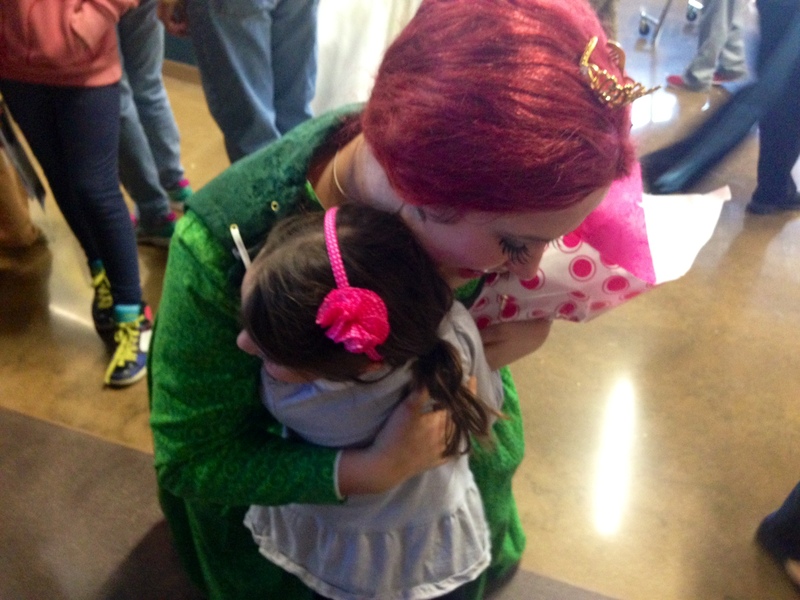 She has a huge heart that she has opened to countless children over the last year and more, with the aura of a woman who can only be called QUEEN. As this journey ends, she’ll pick up where she left off one year ago.. pursuing her Elementary Education degree at Creighton University, intending to impact even more children through her career, now with a big boost from her life experiences and financial awards from being Miss Nebraska. As I close out.. I must share a ‘shout out’ to part of Alyssa’s dream team.. her boyfriend, Grady, and her directors, Kayla and Rachel. These three are superstars in their own right; people who have been in Alyssa’s corner since the moment that crown was placed on her head. They have also become near and dear to my heart with their humor, loyalty and dedication to helping Alyssa become the absolute best she could be. Each of this year’s 36 women I’ve profiled have set out to make the world a better place, supported emotionally and otherwise by their own #TeamAlyssa’s. To ALL of you, THANK YOU for helping these fires burn so brightly, for allowing these gems to sparkle. They’re about to embark on one of the craziest, exhausting, yet exhilarating weeks of their lives.. and they’ll need you. on Facebook and on Instagram. WANT TO LEARN MORE ABOUT ALYSSA? CLICK HERE to meet the 2016 Miss Nebraska Pageant contestants! 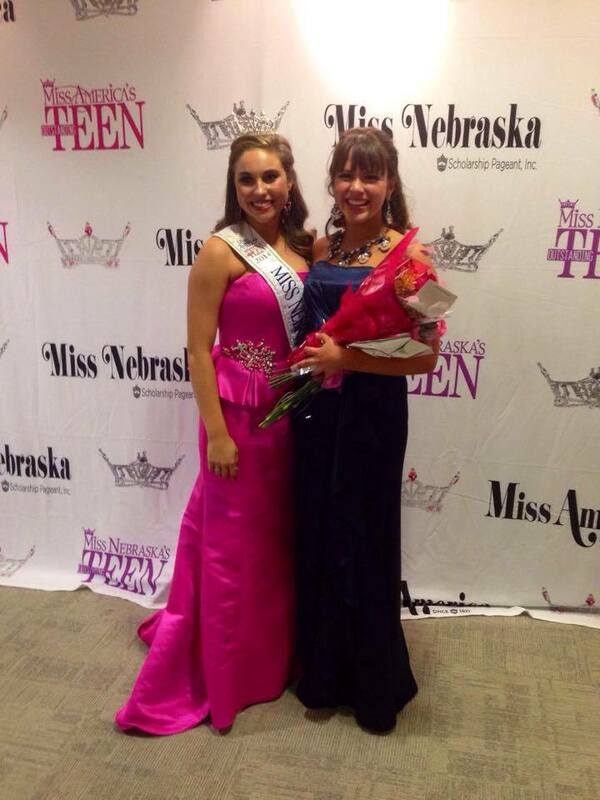 PREVIOUS.. Miss Nebraska’s Outstanding Teen 2015 Steffany Lien! First, can I get a ‘heck ya!’ for my fellow Shania Twain fans out there?!?! A few weeks ago, I heard ‘Man, I Feel Like A Woman’ on the radio, and I proceeded to have a full-out car concert on my drive in to work. It’s probably been years since I heard it, and I still remember ever word, I still sing it with sass and attitude, I still LOVE it. Maybe it’s one of the reasons I love Miss Nebraska week so much.. for a few blissful days in June, I’m surrounded by smart, funny, talented, powerful, BEAUTIFUL women. We get glammed up, we laugh, we hug and take pictures, we enjoy the show and that history-making final moment. Man, we feel like women! THIS moment got me even more jazzed up for Miss Nebraska week..
.. the crowning of Miss Nebraska USA 2016 Sarah Hollins just a few weeks ago. For pageant newbies reading this.. yes, there is a difference between Miss Nebraska and Miss Nebraska USA. All of the local titleholders I’ve been profiling throughout this series go on to compete for Miss Nebraska to qualify for the Miss America Pageant; Sarah will compete for the title of Miss USA . In addition to preparing for the Miss USA Pageant, Sarah will spend her year advocating for fitness and self-worth, a cause she is passionate about, drawing from her own personal experiences. UMMM, WHAT?!?! I see these pictures of Sarah, on stage and in the gym, and have a hard time believing this woman could EVER find a flaw in her body! So what’s her secret!?! 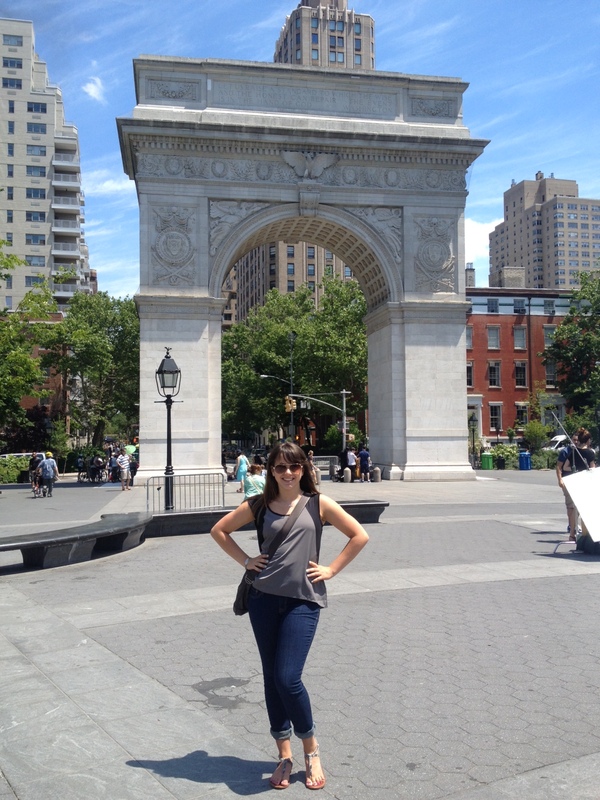 How did she reach this point, and more importantly, how did she find confidence in herself? Sarah’s answers are also the same response she would give to anyone who criticizes the swimsuit portion of both the Miss USA and Miss America competition. No matter what she wears, Sarah is preparing to step into the national spotlight.. again. Many in the pageant world may recognize Sarah’s name and face from the reality television series Obsessed With The Dress, centered on Omaha’s Winning Crown Boutique. She is a businesswoman, landing a gig hosting a soon-to-be-released game show, while securing numerous corporate sponsors during her reign as Miss Nebraska USA.. including her now former ‘boss’ at the Winning Crown, Michele Strom. She is a volunteer, just as eager to cook tacos at the Ronald McDonald House as she is to model thousand dollar gowns. And she is a confident woman, proudly posting selfies without makeup to show her 4:30am wakeup calls, the non-stop travel without stops or sleep, and sweaty gym sessions she’s putting on her calendar to represent our state. Sarah Hollins wants to be YOUR Miss Nebraska USA, because man, she feels like a woman and is darn proud to show EVERYTHING that represents. PREVIOUS.. Miss Tri-Cities Outstanding Teen 2016 Ashly Helfrich! NEXT.. Miss Kool-Aid Days 2016 Chelsea Arnold! There are some people in the world who can literally light up a room with their smile. Take one of my best friends, Melissa.. no matter where we are or what time we are at in our lives, her smile makes everyone around her smile. She is PURE JOY, pure sheer goodness, and that positivity just radiates out of her. 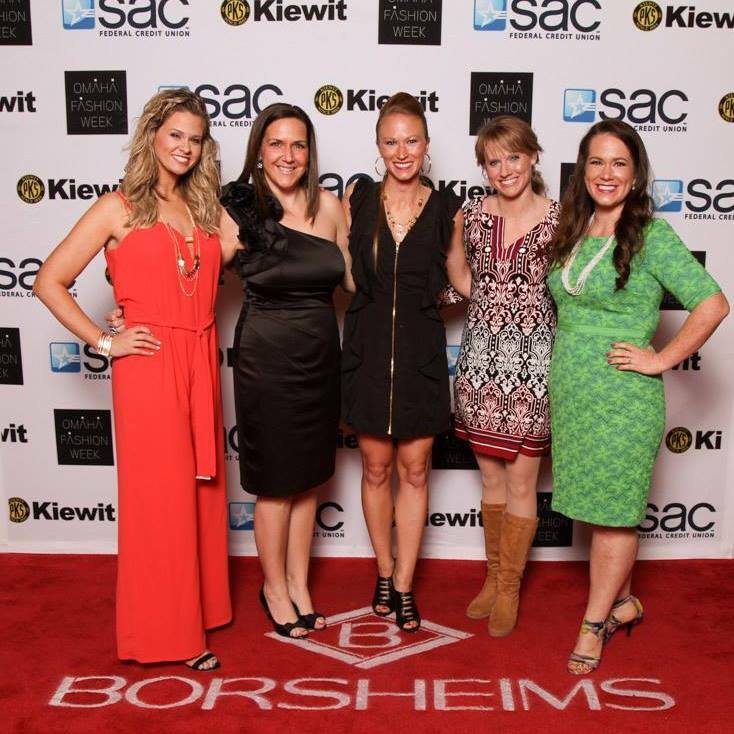 My best friends and I at Omaha Fashion Week. Melissa is the hottie second from the right. Thanks to Herb Thompson for the photo! I first saw the young lady you’re about to meet when she competed in the Miss Omaha/Miss Douglas County’s Outstanding Teen pageant last fall, where she finished 1st Runner Up. From that night on, I continued to follow her over social media through the pageant where she would win her own title, and I don’t think this teen HAS EVER STOPPED SMILING. Now, as I read my interview with Emma Kate and see what’s behind that smile, her attitude not only inspires me.. she’s kinda knocking my socks off. Emma Kate is fighting two chronic illnesses, Type 1 Diabetes and Celiac Disease. Emma Kate has also been an ambassador for Diabetes awareness and research long before her pageant days, appearing on KETV First News for an interview with John Oakey several years ago. She’s getting plenty of practice; Emma Kate is also a youth ambassador for the JDRF (formerly known as the Juvenile Diabetes Research Foundation). Until I heard about all of this from Emma Kate during our interview, I had NO IDEA she faced challenges like this. 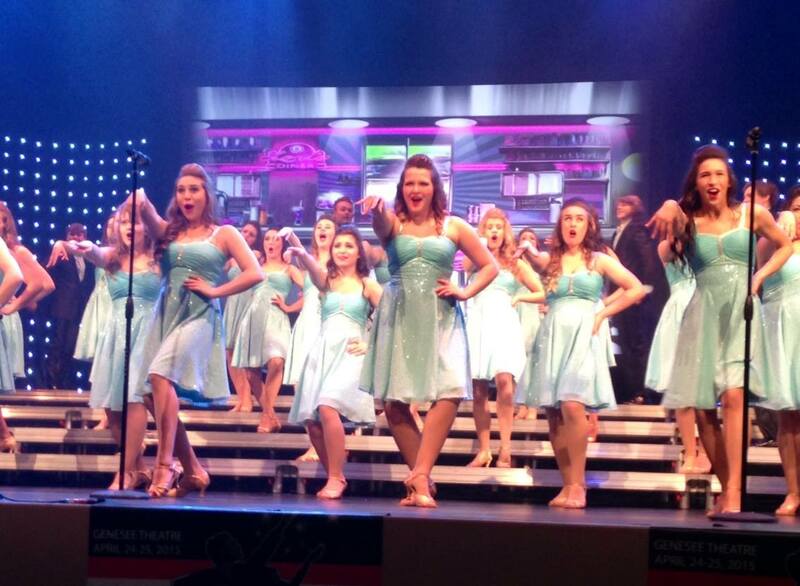 The 16-year old junior at Elkhorn South High School is on the go NONSTOP, participating on the dance team, in show choir, concert choir, in speech and in National Honor Society. This year alone, Emma Kate starred in Shrek the Musical as Princess Fiona, and took part in a grueling competition schedule with Elkhorn South Blackout (the varsity show choir), including trips to regionals and then nationals in Chicago. And off stage, when she’s not volunteering, there’s yet ANOTHER side to this girl. One of those friends is Emma Kate’s fellow dance team member and Blackout star, Morgan Holen, the current Miss Nebraska’s Outstanding Teen. That is Emma Kate’s message to other teens who may read this; she wants to encourage them just as Morgan encouraged her. 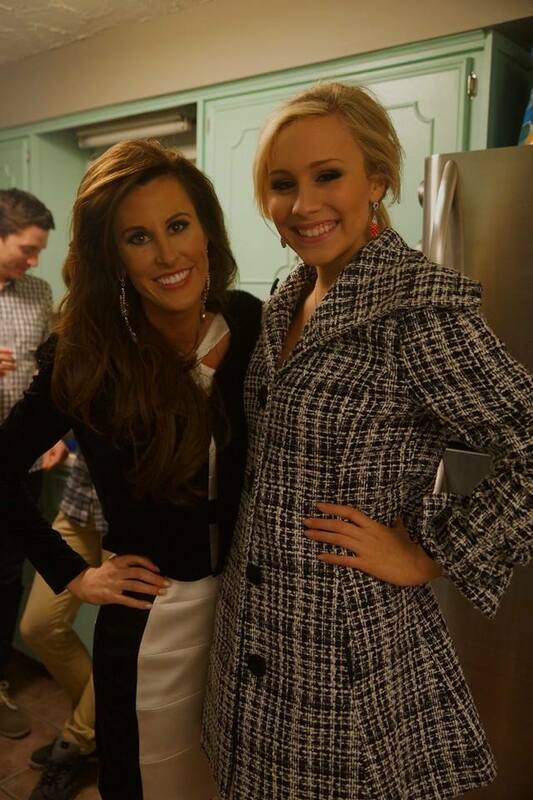 I agree with Emma Kate on the positives that come from the Miss America Organization. I DISAGREE with her that there are other girls like her. That smile is simply one of a kind; welcoming, full of life, excited about what every day could bring. She’s got ‘Outstanding’ on that sash for a reason.. and Emma Kate Brown is ready to prove it in North Platte. Follow Miss Platte Valley’s Outstanding Teen Emma Kate Brown, and contact Emma Kate for appearances or events via Facebook, Instagram and on Twitter. The Miss Nebraska’s Outstanding Teen Pageant will take place June 5, 2015 in North Platte. Click here to visit the organization’s website or the Miss Nebraska’s Outstanding Teen Pageant on Facebook and on Twitter. To read more about the Miss Nebraska’s Outstanding Teen Class of 2014, click on the ‘There She Is’ link at the top of the page. March 23, National Puppy Day. Millions changed their profile pictures and posted photos on social media showing off their 4-legged friends. It was a WONDERFUL day to be on Facebook and Twitter. 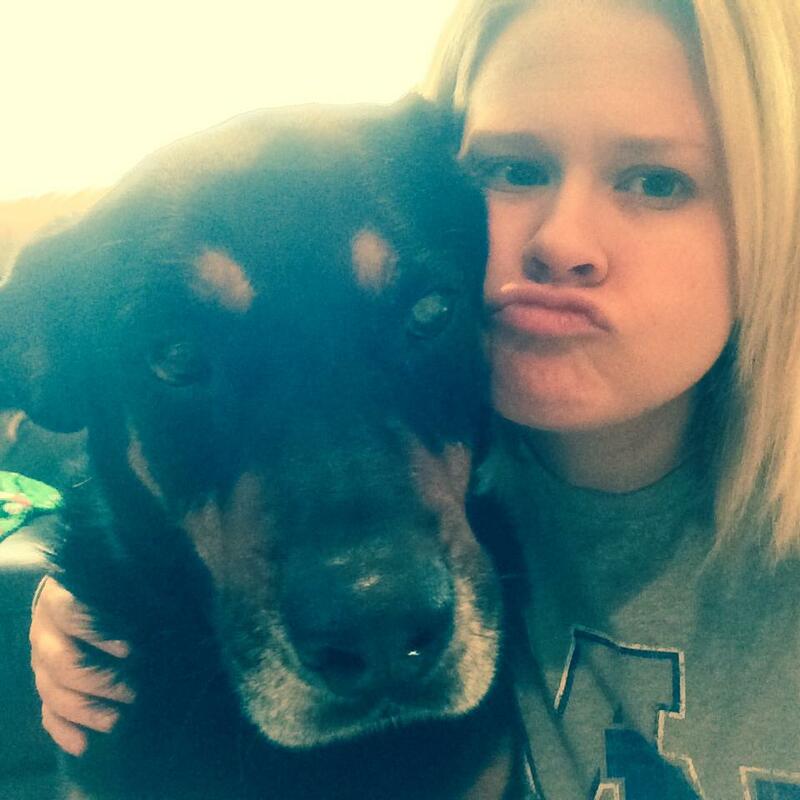 For today’s featured Miss Nebraska’s Outstanding Teen contestant, there’s cause to pause for pets EVERY day, not just March 23. 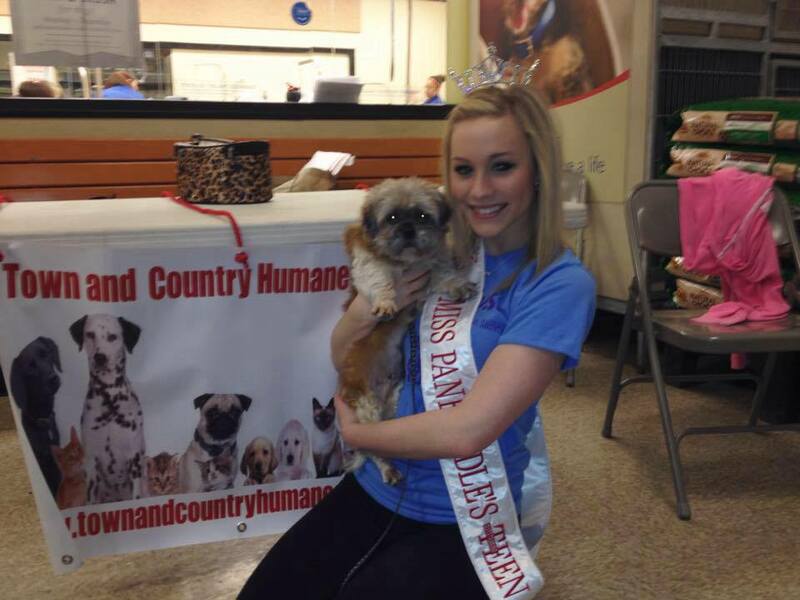 Helping animals, specifically promoting animal adoption, is her personal mission. “I started my platform P.A.A.W.S (Promoting Animal Adoption Within Society) in memory of my paralyzed cat, Lieutenant Dan,” Marie told me recently. Yes. Lieutenant Dan. 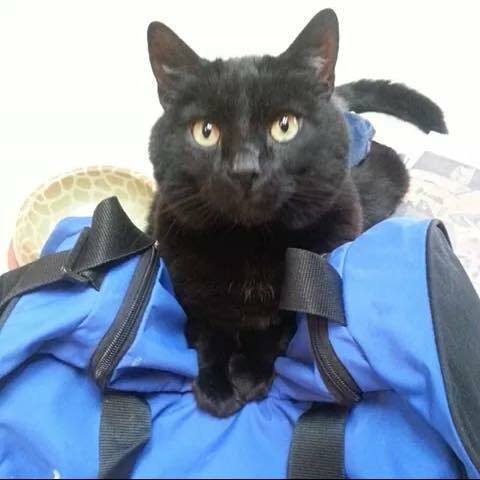 Marie says the cat was found at Sarpy County’s Town and Country Humane Society when he was a kitten, brought to her parents’ veterinary office and ultimately, to the Kliewer home. For seven years, Lt. Dan was a treasured member of Marie’s family, even going on vacations with his humans. Lt. Dan has since passed away, but Marie has plenty of first-hand experience at home with four other cats and a dog. She also volunteers every week at Town and Country walking dogs, cleaning cages and washing laundry. 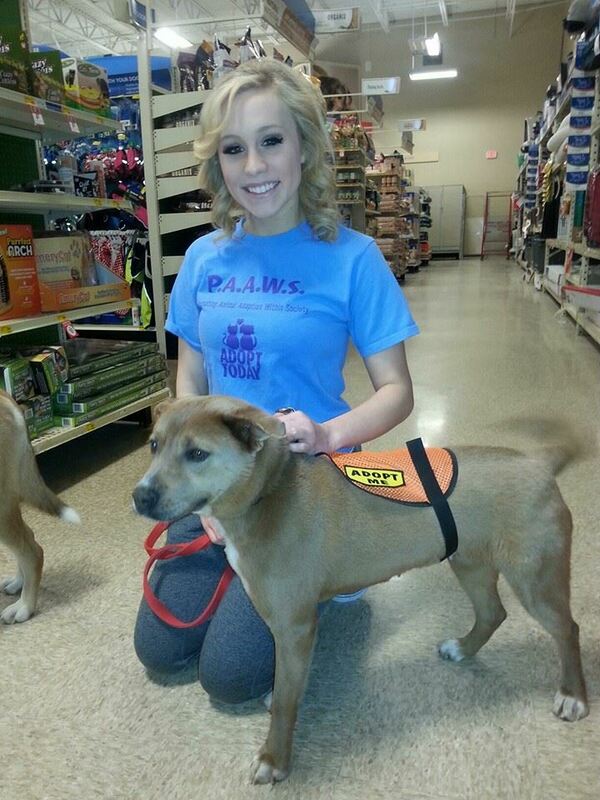 She showcases pets available for adoption every month at area PetSmart stores, and has created P.A.A.W.S. T-shirts and wristbands to raise money for the shelter. 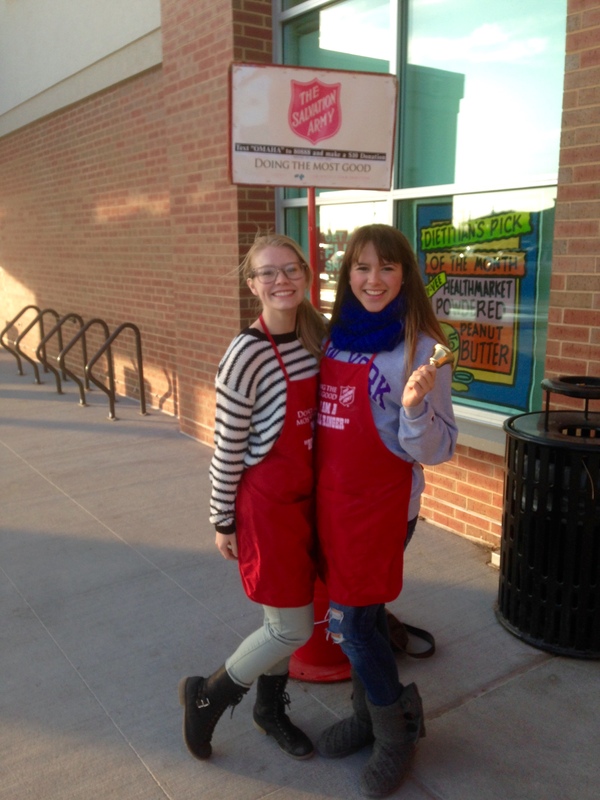 “It’s all about service and what you do in your community to make a difference,” said Marie. THAT, she says, is why she decided to compete for Miss Nebraska’s Outstanding Teen. 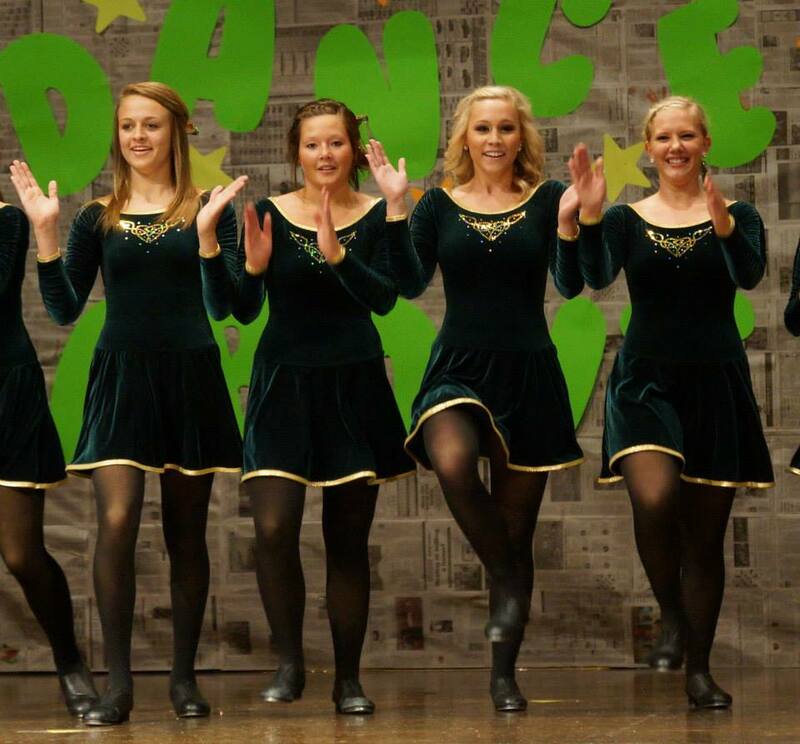 Marie is also a talented dancer, trained in Lord of the Dance Riverdance and tap. THERE’S MORE! 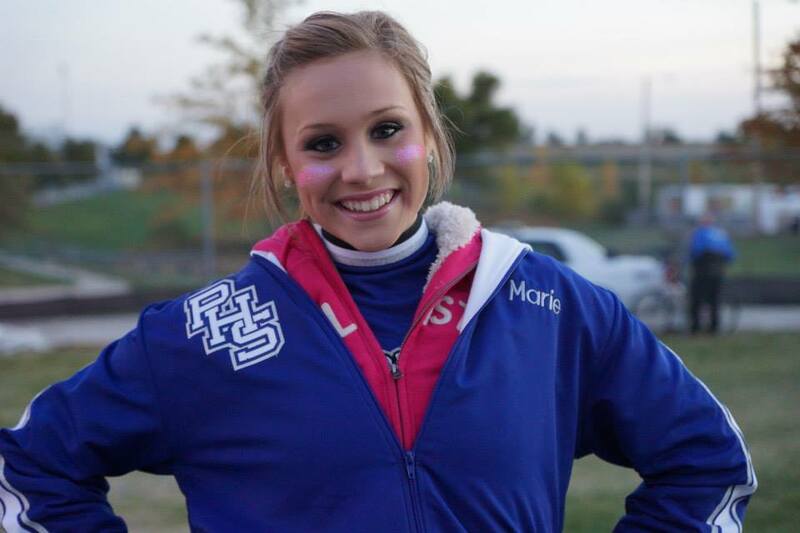 Marie, just 15 years old, is ALSO an active sophomore at Plattsmouth High School. To Marie, becoming Miss Panhandle’s Outstanding Teen didn’t add another burden to her already full to-do list, it tied together everything she already loves doing. Mature advice from a young lady who can’t even drive yet. Marie Kliewer is DRIVEN. Speaking on behalf of working mommas everywhere, I wish we could bottle her energy and share it! 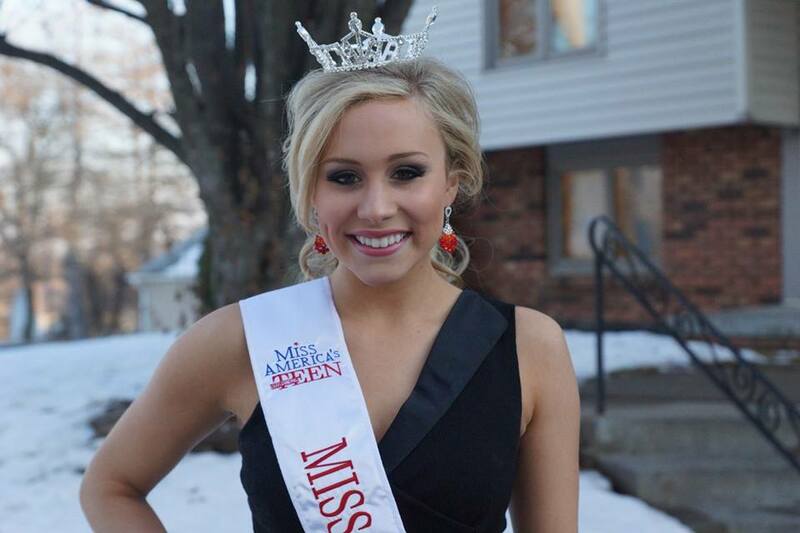 This already busy teenager has taken on her new responsibilities and embraced them, working with former TV News journalist Kali Tripp to fine-tune her speaking skills, and spending even more volunteer hours supporting the Children’s Miracle Network, Miss America’s community partner. It’s one thing to have goals. It’s another thing to GO AFTER those goals. And it’s pretty darn cool to see someone so young eagerly pursuing what she wants. Definitely, cause to pause. and on the P.A.A.W.S. – Promoting Animal Adoption Within Society Facebook page! To contact Marie for appearances and events, please visit the Miss Panhandle’s Outstanding Teen Pageant on Facebook. For information on becoming a contestant, contact Director Melinda Cullan by phone at 308-710-5593 or by email at maot.alliance@gmail.com.